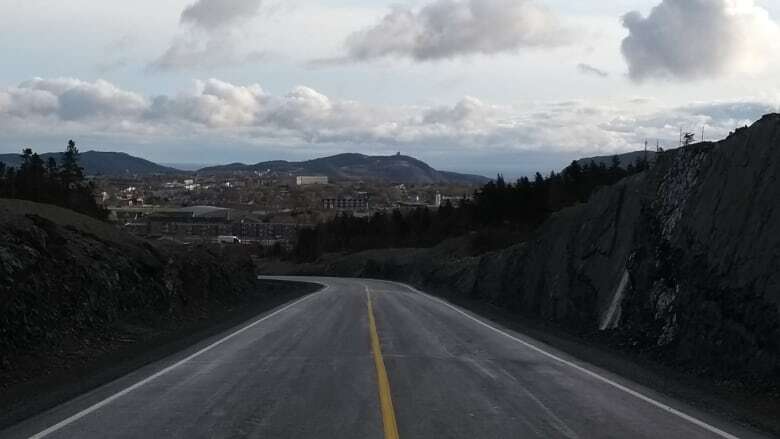 The Team Gushue Highway extension between Kenmount Road and Topsail Road is open to motorists, after years of delays and a recent false start. It was supposed to open on Monday, Dec. 3 — that was the date stated at a media event attended by politicians of all levels of government on Friday, Nov. 30. But it turns out, all of the line painting wasn't done at that time, and and could not be completed due to wet weather. The provincial government had to send out a notice on the evening of Sunday, Dec. 2 telling drivers they would have to wait a little bit longer to access the section of highway. The four-kilometre stretch, which cost about $59 million, was originally set to be finished by 2014.